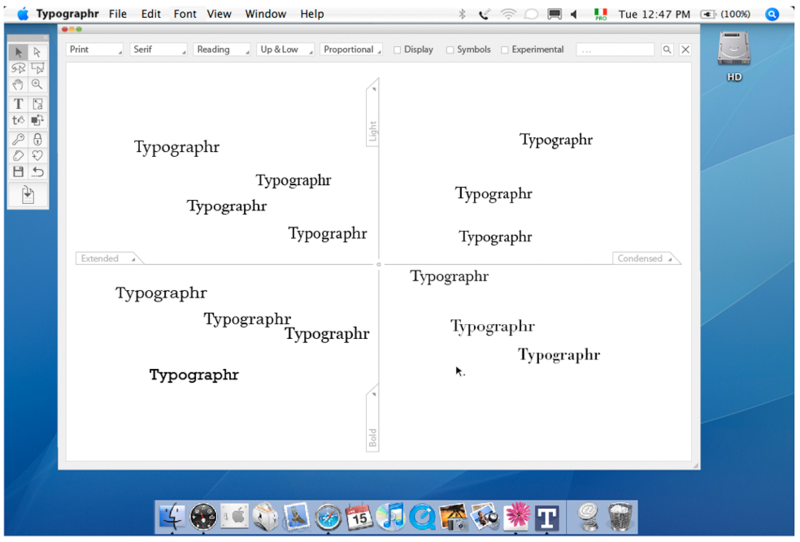 Typographr is an innovative computer application that allows designers to search for fonts much more intuitively. Search results are laid out on a cartesian plane, with axes that can be defined according to parameters appropriate for the project in hand. The application allows you to hide fonts you know you don’t want and to focus in on directions that might emerge as you search. – allow a search for fonts in a wider and more up-to-date database than that on a single computer. Typographr’s main screen shows the parameters and options which start the search and filter the results. 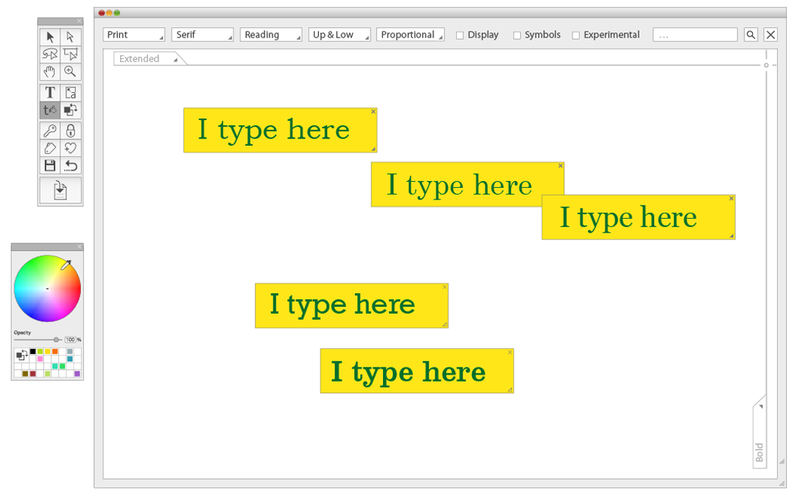 You can also type tag words or use a tag cloud for a more customized approach. The search can be limited to fonts held locally or can access particular foundries via the internet. With every search mode the results appear first in previews organized on a cartesian plane with light-to-bold along one axis and condensed-to-extended along the other. These values can then be changed. These “global” results can be further filtered by eliminating the less interesting finds or changing the categories that set the search parameters. You can lock a cluster of fonts and use these as a reference, changing the axes or parameters to find only fonts similar to these. 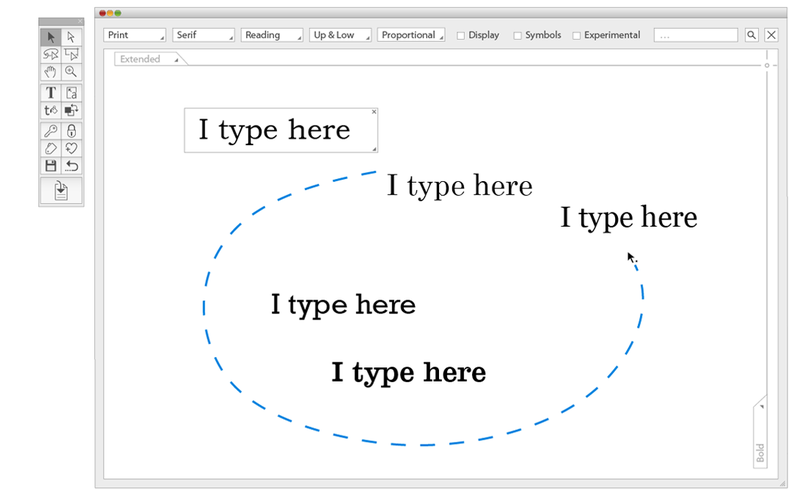 At any point, clicking on a font brings up a specimen window which also offers a choice of similar fonts. The final search results can be immediately used or saved as favourites for the future.